(Hampton, NH)- The din of the craft beer industry gets louder and louder everyday as new breweries and new beers hit the street at a dizzying pace. Smuttynose Brewing Company, New Hampshire’s leading craft brewery, is breaking through that din with The Beer Vault, a revolutionary, new allocation tool that directly connects the most discerning specialty craft beer bars with limited and unusual offerings from Smuttynose and Smuttlabs. The Beer Vault, a simple but powerful online portal, shatters this tension. For each new release, the bars, restaurants and tap houses who have signed up will get an advance email announcement introducing a new beer and the go-live date. When bar managers log-in, they’ll see a real-time inventory of everything in the special stash and can call “dibs” on whatever kegs they want and submit their requests. The rest of the work will be handled by Smuttynose and our valued wholesaler partners across 27 states and Puerto Rico. By paying a little bit of attention, any interested on-premise account can get the kegs they want. This direct connection between the brewery and beer buyers allows our Smuttlabs team the freedom to be spontaneous and avoid having to schedule six to nine months ahead, shackling the vibrant spark of creativity. Wholesalers have been very excited about the concept once they understand that the Vault helps them focus better on volume brands. This approach will be especially helpful in evolving Smuttlabs, Smuttynose’s innovation center. The Vault is the only way to get Smuttlabs beers like Brett & I, The Stallion, as well as brewery-aged, vintage beers and new, draft-only releases of storied Smuttynose Big Beers, such as two-time GABF gold medal-winner, Wheat Wine. All Vault beers will take the shortest, most-direct route to the snifters and palates of beer lovers everywhere Smuttynose distributes. The first new Vault release is March 11 with a 60 keg release of Kisses and Kittens, a 3.8% barrel-fermented, Brettanomyces saison spiced with orange peel and coriander. Future releases will be announced by email to every business with a Beer Vault account. 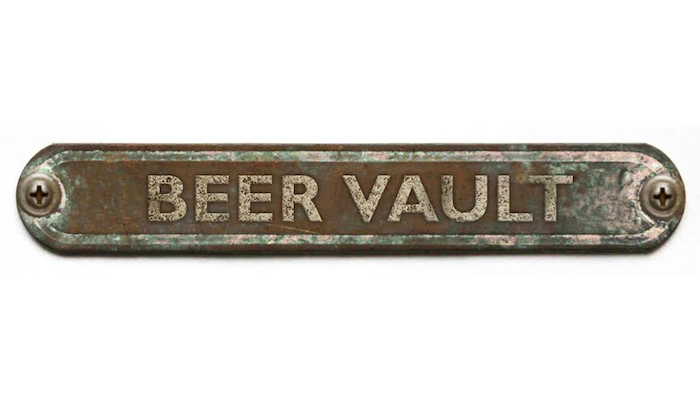 If you manage a bar or restaurant and want your own keys to the Vault, send a message to [email protected]. If you don’t manage a bar or restaurant, but you want to drink Vault beers, ask your favorite tap house to email [email protected] to get set up.